Amid the unrelenting threat in Iraq, Syria, and Afghanistan posed by the likes of the Islamic State (ISIS/ISIL) and the Taliban, the celebrations for U.S. troops there will not feature the large barbecues and fireworks scattered throughout the United States. Nevertheless, American troops risking their lives to defend the United States and ensure their compatriots at home can freely celebrate Independence Day will get a taste of the holiday from a special meal served on Fourth of July. CENTCOM is also overseeing the ongoing U.S. war in Afghanistan. While the meal will likely serve as a reminder of what they are fighting to defend, U.S. troops fighting ISIS and other terrorist groups will not have the luxury of indulging in revelry and letting their guard down. Thanks to the sacrifice of American troops, ISIS has suffered significant losses in its so-called caliphate of Iraq and Syria. The U.S. military has also degraded the terrorist organization’s wing in Afghanistan. However, ISIS is still very much alive and kicking, threatening not only the American service members taking them on overseas but also people in the United States. U.S. troops in Afghanistan, home the largest concentration of terrorist organizations in the world, are also fighting a resilient Taliban, the most powerful jihadist group in the country. 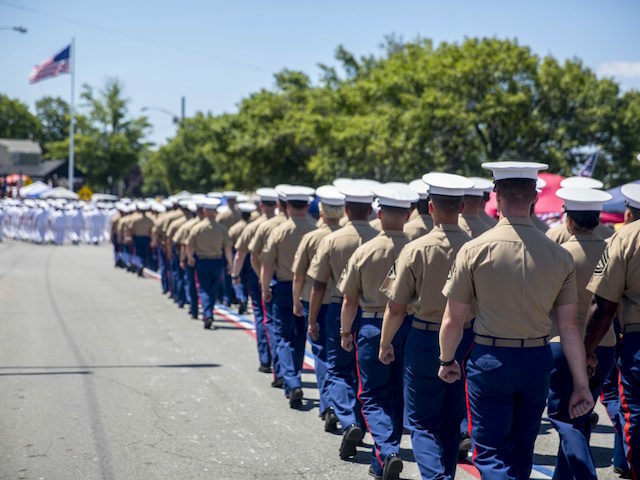 American service members find themselves deployed across the world in defense of liberty and values that are particularly evident during the Fourth of July festivities in cities across the United States. U.S. Air Force photos by Yasuo Osakabe.